Unlike a number of other developed nations, Japan does not have many different categories for taxable income and as such people in full time employment receiving regular salary payments may find themselves elevating up into a higher tax bracket for the tax year if they receive additional income or benefits from other sources. On the other hand, Japanese does offer some distinct tax benefits for real estate investors. In particular, higher rate tax payers in Japan would do well to acquaint themselves with the tax framework in Japan and see if it is possible to utilise any existing real estate investments, or strategically make new ones. Contrary to what you may hear it is indeed possible to receive deductions for residential property mortgages. The scope of the benefit and tax reductions is indeed limited when held in comparison to those for investment properties, but it is a good place to start (especially if you’ve just bought a house). Since 2014, the maximum annual deduction is up to 4 million JPY over a 10 year period. This could be 400,000 JPY p.a, or any annual denomination during the 10 year period that takes you up to, and not in excess of 4,000,000 JPY. The law currently enables you to deduct 1% of your outstanding loan balance. If your outstanding is 40,000,000 JPY then your annual deductible is 400,000 JPY. Once the balance decreases, as you pay off your mortgage, so will the amount that you are able to deduct annually. If your potential mortgage expense tax deduction is larger than your owing income tax for that tax year you have the option to deduct this amount from your inhabitants tax. There is however a caveat here in that the deduction is limited to 7% of your total income for that tax year or 136,500 JPY, whichever is lower. There are requirements to be able to achieve this deduction. Firstly, this is only applicable to your primary residence – your home. The government is not going to be giving out any tax breaks for your holiday home in Kamakura or your ski lodge in Niseko. Secondly, the mortgage must have 10 years remaining. Thirdly, you must move into the property within six months after purchasing. The tax office will take a less than positive look upon any attempt to secure a tax deduction whilst simultaneously renting the property out/renovating it/flipping it/selling it. Next up; you must be a Japan resident. If you are “overseas” for tax purposes (i.e not paying tax in Japan) you are ineligible. Finally, if you are earning over 30,000,000 JPY a year, you are also ineligible. There are a few more conditions regarding the property itself but you should confirm these with your adviser or accountant at the time of filing to ensure that the information you are acting on is contemporary, as tax law is often prone to change (especially the good bits that enable you to get money back). There has been a huge surge in real estate investment in Tokyo in recent years by foreign buyers. Without trying to attribute this trend to any one catalyst in particular, the potential economic benefits of the 2020 Olympics along with periods of a historically weak Japanese Yen, combined with stable demographics in Tokyo and robust rental markets country-wide mean that investors seeking yield would do well to consider their options here. There is another category of investor here in Japan who will initially consider purchasing Japanese real estate purely because of the potential tax refunds and rebates which could be secured. The annual cost of servicing your mortgage (the annual interest on the borrowed principal amount) is a deductible expense. This may seem alien to people familiar with real estate investment practices in other G10 countries where no such kindness is extended to landlords by the tax office. Notably, mortgages on land can only be used to offset other real estate income- i.e is of no use to a higher-rate tax payer who earns a high annual salary. 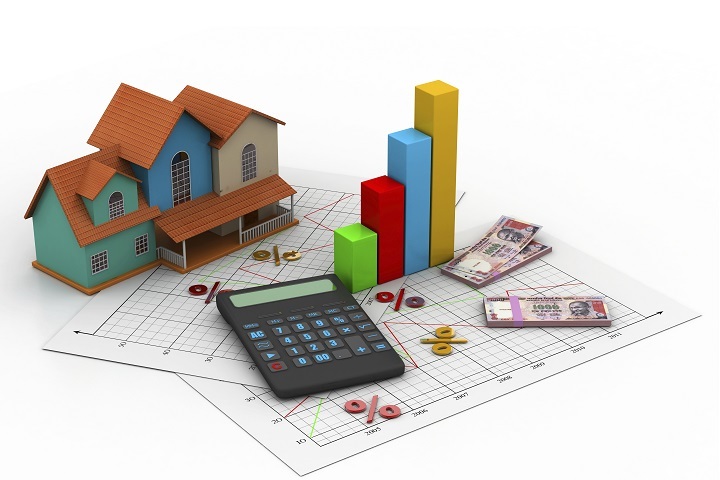 Mortgage expense on buildings however can be used to offset any other form of taxable income. The deduction itself is calculated based on what portion of this expense is incurred in purchasing (or is allocated to purchasing) the land, and what portion is accounted for by the structure/building. You will often need to produce evidence (intermittent valuation statements) for the land and the building as evidence for your tax deductions. This is particularly true for those with qualifying overseas property investments. The deduction itself is written into your Real Estate Income tax form which contains a section for reporting total interest cost and subsections for that attributable to the land and the building. Accordingly, the idea of being able to utilise bank financing to purchase a fixed asset worth hundreds of thousands if not millions to make an investment that, will either produce positive free cash flow or enable you to receive tax refunds every year that would have otherwise been levied on your income -in some cases both- is quite compelling. Of course, as with any investment, the decision to buy should be the result of careful planning with an experienced adviser who will perform a cost-efficacy analysis which should enable you to visualise what the benefit is after costs. Exploring the potential tax benefits of making Japanese Real Estate Investments.